This concise pocketbook provides an easily accessible resource on pulmonary arterial hypertension (Pah) for medical professionals (senior and trainees), nurses and allied disciplines. Pah is not any longer an orphan disease, nor is it associated with a grave prognosis and premature death (as it used to be the case a decade or two ago). Patients with Pah should enjoy improved survival and quality of life, provided that an early -and not late- diagnosis is made combined with timely initiation of advanced therapy in specialized/designated tertiary centres. This comprehensive text incorporates Pah expertise from the Uk and the rest of the world. The book outlines the key points with respect to the latest classification, pathobiology, genetics, clinical assessment of the patient with suspected Pah and the role of imaging. 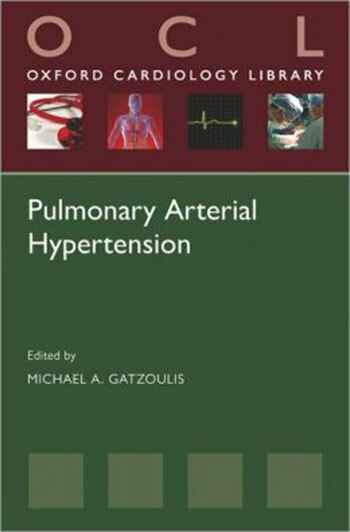 There are specific chapters addressing different Pah aetiologies, namely idiopathic Pah, thromboembolic Pah, Pah related to connective tissue disease, congenital heart disease (Eisenmenger complex), respiratory disease and other unusual causes. Last, but not least, the book addresses counselling, contraception and the latest therapy for the challenging area of pregnancy and Pah, which is still associated with a high maternal mortality risk. The main objective of the book is to increase awareness of Pah, promote rapid diagnostic work up and timely specialist referral so that effective therapy is made available as early as possible to all patients with suspected or known Pah. Physicians -senior or Junior, nurse or other health care professional - whether senior or junior - who may encounter patients with Pah has much to gain from this book.